UPS Express Bills Payment provides Fast, Secured and Convenient online bills payment solutions. Now you can manage your entire bills payment process online anytime, anywhere you have Internet availability. UPS Express Remittance Services is a fast and secured money transfer around the world to reach out overseas working for their love ones in the Philippines. With UPS Express Loading, start a Loading business using ONE SIM AND ONE LOAD WALLET to load all networks and use the UPS Online System to make it easier to keep a record of your daily business transactions. Transfer LOADS online and or via your one mobile phone. Sell Game Cards and other Load Cards too. UPS Express Ticketing is a booking services flight in the Philippines to reach out the people with convenient and easy transaction in all GPRS and UPS Hub Branches nationwide. You can now book and buy your own tickets and or sell tickets to others. ADDITIONAL SERVICES FOR OUR LOCAL FRANCHISE HUB PACKAGE – COMING VERY SOON! 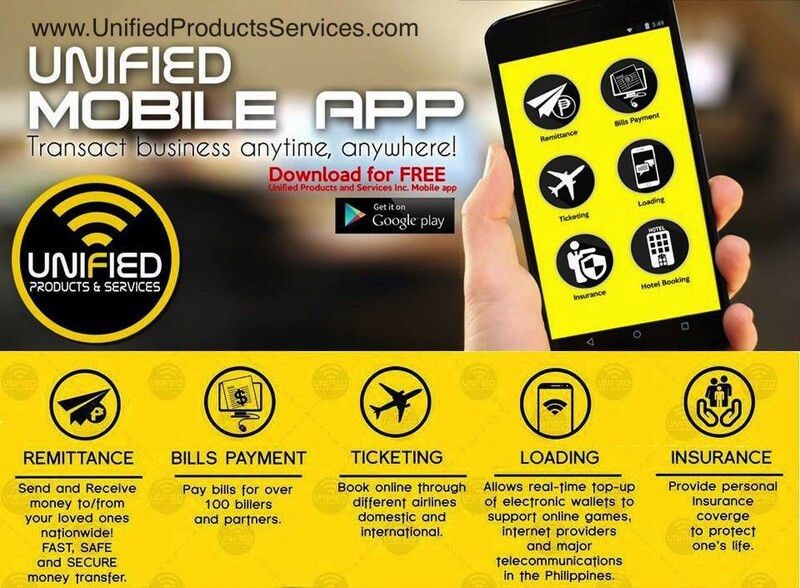 UPS Unified Products Services ALL IN ONE Business Hub – The Hottest Traditional Franchise and Home Based Negosyo today. can i know if i can claim my remiitance from your office? Sa mga Ups Hub or GPRS Franchise Outlets po… or sa mga Dealer na may enough eCash. Basta pera ang pinaguusapan…MAG INGAT PO TAYO SA ATING MGA KA TRANSACTIONS. Paano po aq mkpag register? You have to buy a package po. and read number 9 po,. Me problema po ba ang paglo load sa smart? Kasi ived been trying to load my mom, but it keep on saying failed. Sir interested na po ako sumali imPAULO JOSE G. CABALTERA FROM TARLAC.. SAN PO OFFICE PO NINYO AND PANO PO ANG TRANSACTION. IF EVER MARAMI PO AKO MHIKAYAT NA SUMALI. MAY MALAPIT PO BA NA BRANCH DITO PO SA TARLAC.. PLEASE REPLY.. THANK YOU VERY MUCH.. NKREADY NA PO PAY IN KO PO..